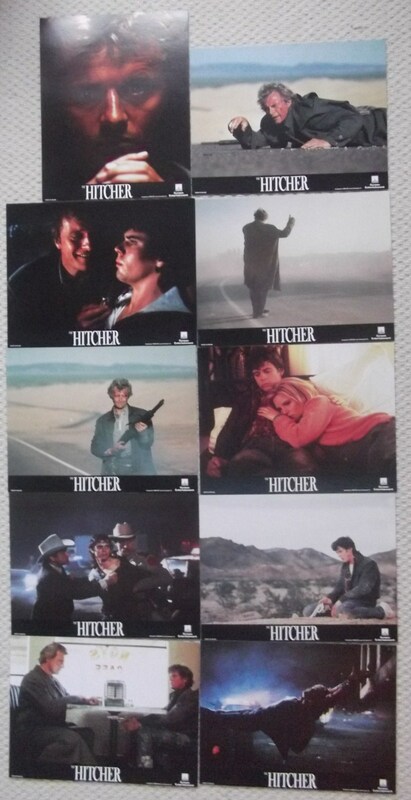 1986 original Lobby cards (10) from the film ' The Hitcher ' starring Rutger Hauer, C Thomas Howell and Jennifer Jason Leigh. The Lobby Cards are in Fine condition and measures 11" x 14". Great images. This is for all ten lobby cards.